Smart meters are next generations devices that help you measure the consumption of electricity and gas. It is different from AMR – traditional Automatic Metering reading in a way that it enable two way communication between the meter and the central system. These smart meters are gaining popularity in the west. They are used for monitoring the energy and gas consumption as well as for billing purposes. Europe has introduced smart meters that are based on Open smart grid protocol (OSGP) which has the ability to reduce load, disconnect and reconnect remotely. The research conducted in the UK on the usage of smart meters showed that smart meters were being confused with energy meters. They are being used by 1 in 3 homes in the UK. It has been estimated that £300 million could be saved annually if the smart meters are actively used by the people.1 Although it is also important that people actively pay attention to their lifestyle that demand heavy energy consumption. The United Kingdom’s Department of Energy and Climate Change announced its intention of having all the homes fitted with smart meters by 2020. Zigbee Smart Energy will be the principal means of communication in the Home Area Network. The UK rollout programme involves 27 million homes which will have their both gas and electricity meters replaced. It officially started in 2012. “Which?” is a consumer group and was concerned about customer experience being given little consideration regarding the meters. They do not yet have a satisfactory monitoring framework in place. Minimum standards for displays, meters and the customer experience are being consulted by the Government. A very interesting piece of news I came across was the debate which will be taking place at the World Future Energy Summit in Abu Dhabi in January 2014 regarding energy savings with the help of smart meters. The UAE has one of the world’s highest rates of power consumption per person and hence finding ways of regulating the energy usage is important.3 WFES 2014 is a significant event and also features a Project and Finance Village, a Sustainable Living Area, a Young Future Energy Leaders programme, round table discussions, and various corporate events and social engagements. Smart meters and energy monitors explained”, Which? Awesome. 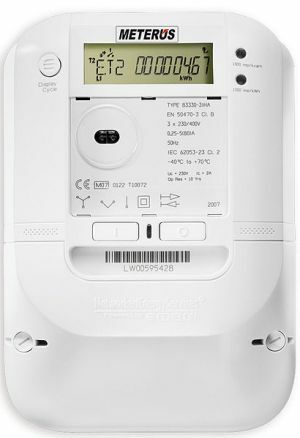 The Smart Meters are a must for Indian house holds.May I know how to contact the suppliers from India.